So sorry to be behind on my blogging but Emily Loftiss: Choreographer/Teacher as been working alot lately! I’m currently in South Georgia loving the gorgeous weather and Sweet Tea. I wanted to share with you my latest genius product I’ve come across. 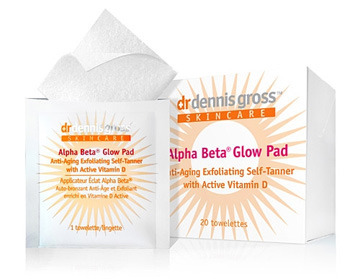 Dr. Dennis Gross Alpha Beta Glow Pads. This multi purpse product does EVERTHING!!!!!!! I really can’t stress how much I love this product. It comes with 20 packets that you can take in your purse or on a plance to instantly get a more healthy looking you. You can get Dr. Gross products HERE!!!! Tags: Dr. Dennis Gross, healthy glow, healthy skin, skincare, spring, summer, sunless tanning, tanning. Bookmark the permalink.